The winner of this month's Common Thread Give-Away is Sandra. 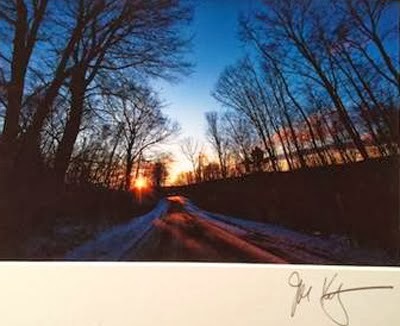 Please be in touch with Maria to receive Jon Katz's photograph, "Morning Road". Congratulations Sandra! Remember there will be another drawing next month, so don't give up trying! Maria Wulf will be the next featured artist February 3rd.! Thank you all for leaving your comments!